In recent years, we have witnessed a considerable increase in the litigiousness of public and private life in Spain. Society and companies are taking legal action more and more frequently and for a great variety of issues, which has led to severe overburdening of the courts. Especially during the years of the economic crisis, that increased caseload has been particularly evident in relation to banking issues. In July this year, the consumers’ association FACUA reported that the Courts of First Instance specializing in floor clauses are overwhelmed because they do not have sufficient means to cope with the claims filed in this regard. As reported in the newspaper El País, according to data from the General Council of the Judiciary, in the month of June 2017 alone almost 16,000 claims were presented to those courts, and it is expected that, over the course of the year, they will receive more than 190,000 claims related to mortgage clauses. The need for companies to make financial provisions in order to pay the costs associated with these matters has increased very considerably. In this study, we have examined the public data which the companies of the IBEX 35 provide with regard to the amounts and concepts of provisions for legal risks. Those data can generally be obtained from the consolidated annual accounts, though they are also included in the corporate reports and audit reports. The IBEX 35 is composed of the 35 companies with the greatest liquidity listed in the Electronic Stock Market Interconnection System (SIBE) in the four Spanish stock exchanges (Madrid, Barcelona, Bilbao and Valencia). The amounts of funds allocated to provisions for litigation are those which the company considers could be necessary to meet the costs of ongoing litigation, or for any risks it has identified, even if there are no lawsuits in that regard. In this study, we have taken into account the data attributable to provisions of funds to cover probable lawsuits and other liabilities. Thus, we detail the amounts allocated by the companies of the IBEX 35 to these provisions in 2016 if they were included in the annual accounts, and we outline the most relevant conclusions by sectors of activity and types of risks or lawsuits they must respond to in all the markets in which they are present, though they are listed in Spain. Likewise, in some of the most significant cases, we will consider their evolution compared to the previous year (2015) and will give some information on the provisions of 2017 which have already been published during the year to date. It is necessary to clarify that, as there is no specific nomenclature used by all companies to refer to the provision set aside for lawsuits, the concept taken into account for this study differs in many cases (some examples are “provision for liabilities”, “provisions for taxes and other legal contingencies and other provisions”, “judicial matters and lawsuits for taxes pending” or “provisions for lawsuits, compensation and other legal or contractual obligations”). Therefore, it should also be noted that it is possible that not all the companies include the same items in the selected provision. Thus, while some include, for example, the provisions deriving from the regulatory framework, others only mention the costs equal to the amounts claimed in the lawsuits. It does not disclose any litigation in 2016. It only refers to a litigation that the Sociedad Compañía Transportista de Gas Canaria had with the European Regional Development Fund (ERDF) that was concluded after the announcement of the TSJ of Madrid in January 2016. Deferred tax assets and liabilities: Provisions for litigation and others. Source used: Consolidated annual accounts. United Kingdom: Arbitration against Talisman for the purchase of shares that required the repayment of the amount invested. Claim to Repsol for the leakage in the Galley pipeline. United States: Lawsuit against Repsol for polluting the Passaic River. Spain: Supreme Court recognizes the right of Repsol to be compensated for the setting of the maximum price of bottled LPG. Bolivia: Litigation against administrative acts that deny the deductibility of certain concepts. Brazil: Formal breach of material movements from the mainland to the oil platform. Canada: The Canadian Administration denied the application of tax inventions. In 2015, the Tax Court issued a favorable ruling for Repsol. Ecuador: The Internal Revenue Service of Ecuador denied the deductibility in the Income Tax of the tariff payments for transportation of crude oil. Spain: Irregularities in Corporate Tax and retentions related to transfer prices, deduction of losses due to investments abroad. Indonesia: Various claims relative to the imposition on the benefit of the the group. Malaysia: Deductibility of certain expenditures. Timor: Deductibility of certain expenses in the tax on benefits. Trinidad and Tobago: Taxes relative to the financial years of Impuestos relativos a los ejercicios 2003-2009. Visions: This section includes tax claims, litigation and arbitration, among others. Appeal of cassation before AN related to a surplus value. There is no significant impact on the company. Claim for damages for breach of agreement when not constructing a substation (2013). Delivery of 25% of the energy produced by the Ebro hydroelectric projects. 2 procedimientos judiciales en curso contra Endesa por incendios forestales en Cataluña de los que pudieran resultar reclamaciones por daños y perjuicios por aproximadamente 23 millones de euros. La Junta de Andalucía reclama a Endesa una indmenización por daños y perjuicios derivada de un incendio (2016). 2 ongoing legal proceedings against Endesa for forest fires in Catalonia which could result in claims for damages of approximately 23 million euros. The Junta de Andalucía wants to be compensated by Endesa for the damages derived from a fire (2016). Fine for a serious infringement in breach of the obligation to adapt to the new law on the regime of ownership of the operating authorizations of nuclear power plants. 4 sanctions of the Ministry of Energy (2009) for the release of radioactive particles in 2007. Sanctioning file initiated in 2013 for non-compliance in the control of the unused radioactive sources. The CNMC notifies a sanction against Endesa for abusing its power. Fine for an abusive conduct in the electrical installations market (2012). The Tax Agency notified the initiation of inspections (currently ongoing) in relation to the IS, VAT and withholding tax. Other provisions: Provisions for litigation, indemnities and other legal or contractual obligations. It corresponds to the deduction for export activities in the fiscal years of 2003 to 2008. The Tax Administration of Rio de Janeiro does not recognize the offsetting of the credits for the contributions on certain sales. Claim of amount against the branch in Panama. The company, claiming damages, was awarded a public contest, although it was not finally able to comply with the guarantees required in the bidding documents. Arbitration proceedings against Qatar Liquified Gas Company with the aim of fixing the prices for the gas supplies that this company receives. Egyptian Natural Gas Holding ceased supplying gas to Unión Fenosa Gas (50% owned by Gas Natural Fenosa) as well as the plant’s usage fee. Union Fenosa Gas has initiated arbitration against Egypt and the supplier. Other provisions: Included in this section are tax claims, litigation, arbitration and contingent liabilities, among others. Banco Mare Nostrum (BMN) files a lawsuit against Iberdrola requesting the nullity of the deed of sale of certain installments. Iberdrola files a lawsuit for a quantity against GESA Group, who replied requesting the payment of 4 million euros for the bonus of success left to pay, when processing and granting megawatts to Iberdrola in Andalusian wind contests. Iberdrola, together with other affected companies, claims to Euskaltel the payment of the variable price agreed in the purchase agreement when it acquired shares of the company in 2012. Scottish Power (of Iberdrola) has initiated legal proceedings against BP for breach of a gas supply contract. Iberdrola has filed several contentious-administrative appeals against regulatory provisions. Administrative procedure inherited after the absorption of a Greek energy company. Iberdrola faces a fine from the Greek Securities Market Commission as part of the formulation of the takeover bid in 2008. Iberdrola considers “excessive and disproportionate” the provisional liquidation of the City of Lorca. Arbitration procedure before the International Chamber of Commerce initiated by the purchasing company of 30 wind farms that belong to Iberdrola. They claim the breach of the declarations and guarantees provided in the contract on the maximum allowed noise levels. Arbitration lawsuit against Iberdrola of a Canadian subcontractor for executed work, surcharges and delays. Claims for environmental breach against Iberdrola. Iberdrola asks to be recognized the ownership of a plot against 18 co-owners who claim to have a title on the estate. Elektro (a subsidiary of Iberdrola in Brazil) is seeking annulment of the Court’s decision to include the company in the payment of highway use fees. Other provisions: Provisions for litigations, compensation, and other contractual and legal obligations. Only mentions that the Group “does not have litigations regarding protection and improvement of the environment”. Tax claims of $ 211 in Brazil, France, Mexico, Ukraine. Competition / antitrust claims in the US, Brazil, Romania, South Africa and Germany. Other legal claims valued at USD 202 in Argentina, Canada, Italy, Luxembourg, Senegal and France. Complaint of the CDTI (Centro de Desarrollo Tecnológico Industrial) for the reimbursement of a subsidy from a consortium of companies, including Acerinox. Litigation with the Port Authority of Algeciras and France’s electricity company. Complaint of the CDTI (Industrial Technology Development Center) for the reimbursement of a subsidy from a consortium of companies, including Acerinox. For defects in construction of the works carried out and complaints regarding discrepancies in the provision of services, among others. Claims for construction defects against the company. Against the energy division (contractual breach in the United States). In the area of infrastructure. Contentious-administrative interjected by ATLL (Catalonia). Non-current liabilities: Provisions and litigations. Request by the concession company Metro de Lima Línea 2, S.A. against the Republic of Peru for the serious breach of the concession contract. Appeal against the CNMC in relation to the modular building business. Litigation derived by a potential right of having the option of the sale of the “builder partners” of Alazor on “non-builders”. Provisions for responsibilities: The section includes litigations, environment, guarantees and contractual and legal obligations. PROVISIONS OF FISCAL CHARACTER: 247 millions. Taxes, taxes or local / state taxes for different interpretations that could be given to the tax rules in the different countries where the group operates. Tax claims by Promociones Habitat (20% of Ferrovial), pending resolution or payment. No amount is specified. Demand for the Terresa Manresa (Autema) Motorway, controlled by Ferrovial, against the Generalitat de Catalunya by Decree 161/2015. It is in the process of being answered by the Generalitat and the Regional Council of Bages. Demand for M-203 Motorway, Ferrovial concessionaire, against the Community of Madrid. Failure in appeal in favor of Ferrovial, is expected to enter 63 million of the CM. Lawsuit against I-77 North Carolina Highway (Ferrovial concessionaire). Appeal awaiting for sentence. Investment of 1 million euros. Motorway AP36 Ocaña- La Roda. The company is still in settlement process. – Radial Motorway 4. Creditors contest process, settlement has not yet begun. LITIGATIONS RELATED TO THE CONSTRUCTION BUSINESS: aprox. 127 litigations. Possible defects in construction of the works carried out and claims for civil liability. Muelle del Prat. It is estimated the appeal filed by the companies where they are absolved. The Port of Barcelona presents an appeal. Currently pending resolution. Arbitration in relation to works at the Warsaw airport. It is a complaint addressed to the joint venture formed by Ferrovial and Budimex (Polish subsidiary of Ferrovial) for cancellation of the execution contract. Civil suit against Budimex by the General Directorate of Roads and Highways in Poland. February 2017 the lawsuit is withdrawn so there is no provision for this litigation. Provision of 50 million for a litigation relating to the contract Amey (subsidiary) maintains with the Birmingham City Council. (Currently in negotiations with the City Council to reach a solution). There is a favorable sentence to Amey against which there is appeal by the City. Amey’s claim to a client (Cumbria County Council). Court sentence in favor of Amey. Currently, the parties discuss the final amount of legal costs (possibility of judicial appeal). Sanction of the National Council of Markets and Competition to the Cespa group (subsidiary of Ferrovial) for participation in a market-sharing agreement. They do not make provision, because they consider that there are legal arguments “very strong” to challenge the resolution. It does not specify more information. Provisions for risks and expenses: Litigationa, compensations, taxes and similar. Fiscal provisions: 23.208,000 derived from risks by inspecting actions of the Administration. Social provisions: 11.499,000 related to litigation with workers. Legal provisions: 6.723,000 risks arising mainly from the sale of DÍA France. Provisions: Fiscal, social y legal. Against British Airways for alleged anti-competitive practices (for pricing agreements with other airlines in the air freight transport). Por parte de grupos o empleados sobre unas cuestiones relacionadas con sus operaciones, incluidas pagas de vacaciones adicionales y por discriminación de edad. Provisions relating to inspections opened by a number of competition authorities in relation to practices of alleged unfair competition in the cargo and passenger transport business. Provisions related to the taxables bases. Source used: Report and annual accounts. Procedure concerning the late submission of the action plan. New cassation appeal for the new sanction of the CNMC. Pending resolution, no provision is taken into account when considering that it is not likely to materialize. Procedure relating to the alleged breach of Mediaset’s commitments at the Telecinco-Cuatro concentration. Related to the above procedure. Provision is not estimated because it is not estimated to materialize if the one above does not meet requirements. Action brought by Mediaset against ITV, claiming that the contract for the use of the Pasapalabra form is declared null and void. Pending the appeal of the Supreme Court where Mediaset is expected to be acquitted. Provisions for risks and expenses: Litigations. Provisions of 4.111,000 € in relation to the unfavorable sentences regarding the airline claims. Provisions of 3.017,000 € to confront a tax assessment notice of the labor and social security inspection. Reversals in the amount of 6,910,000 which correspond mainly to favorable sentences to Aena of litigation with constructors. Provision of 18,000,000 for other procedures with constructors. Claims for environmental actions (main Aena dispute: residents of Algete appealed because they consider their fundamental rights are violated due to excessive noise levels in their homes), expropriations, commercial activities with hotel companies and airport restoration and labor claims for dismissals of workers. Provisions and contingencies: Provisions for responsibilities. Open litigations by the dependent entity Corporación Hotelera Metor S.A with its minority partner because of the annulment of the agreements and transactions that were made. Open investigation by the European Commission to Meliá for a series of determined agreements related to hotel reservations. Provisions for risks and expenses: Provision for responsibilities. Source used: Consolidated annual account. Collective action of the Supreme Court of Spain against the BBVA and others because of the clause. Individual demand by the Provincial Court of Alicante before the CJEU in relation to the temporary limitation of the return of the fixed amount. Provisions: Processes and litigations for pending taxes + remaining provisions. Social action against determined former managers for the purchase of assets of the Parent Company for reinvestment of the price. Social action of responsibility against former administrators for the purchase of own shares between March and December 2007. Procesos administrativos y judiciales contra municipios que exigen el pago de Impuestos de Servicios. Procesos administrativos y judiciales contra las autoridades fiscales por cotizaciones laborales. Recurso de auto de infracción contra BS Brasil por los impuestos sobre beneficios de IRPJ y CSLL. Recurso contra el auto de infracción conta Santander Distribuidora de Títulos y DTVM. Recurso contra el auto de infracción a Santander Seguros, heredado por su fusión con ABN Amaro. Recurso contra el auto de infracción a BS Brasil como responsable del impuestro sobre la plusvalía. obtenida en Brasil por la entidad no residente en Brasil Sterrebeeck BV. Recurso por el auto de infracción a BS Brasil por el impuesto sobre beneficios (IRPJ y CSLL) de 2009. Recurso contra el auto de infracción inocados por las autoridades fiscales en relación al fondo de comercio generado al adquirir el Banco Comercial e de Investimento Sudameris, S.A.
Legal actions imposed by BS Brasil against the increase of the tax rate in the Social Contribution on Net Income. Legal actions by the Group for their right to liquidate the mentioned contribution. Legal actions by BS Brazil to ensure the right to settle Social Contributions PIS and CONFINS. Legal actions by BS Brasil prior to September 2006 of Banco ABN AMRO. Appeal for the liquidations of the Brazilian tax authorities. Administrative and judicial processes against municipalities that demand the payment of Services Taxes. Administrative and judicial proceedings against the tax authorities for labor contributions. Appeal of violation of BS Brasil for taxes on IRPJ and CSLL benefits. Appeal against the infringement notice Santander Distribuidora de Títulos and DTVM. Appeal against the violation of Santander Seguros, inherited by its merger with ABN Amaro. Appeal against the violation of BS Brasil as responsible for the impoundment of surplus value. obtained in Brazil by the non-resident entity in Brazil Sterrebeeck BV. Appeal for the violation of BS Brasil for the income tax (IRPJ and CSLL) of 2009. Appeal against the notice of infraction filed by the tax authorities in relation to the goodwill generated by the acquisition of Banco Comercial e de Investimento Sudameris, S.A.
Legal action brought by Sovereing Bancorp claiming the application of a tax deduction by Santander Holdings USA and that it is waiting for limited judgment to possible sanctions. The European Commission opened an investigation on Spain in 2007 on the grounds that the Corporate Tax Law constituted illegal aid, which was appealed by Banco Santander and other companies. The case is pending an appeal by the General Court. Claims about the compensation of clients for payment protection of sold products by Santander UK to its clients. 1.209 received lawsuits. Conflict with Delforca that has now been appealed by equity swarps contracted by Gaesco on shares of Inmobiliaria Colonial. Litigation with Occidental Bank of Discount for claiming for the resolution of an escrow agreement. Appeal for protection before the Constitutional Court by the plaintiff. Appeal before the STF for the claim of late payments of bonuses to the Association of Retired Persons of Banespa. BS Brazil is the object of several customer demands and collective civil actions on the calculation of inflation. Awaiting the various appeals presented to the Supreme Court. Lawsuits related to the Grupo Lehman, in which the group had assets. Lawsuits related to the investments made by clients that belong to private banks of Madoff Securities. Lawsuits for swap contracts from which procedures may be derived for their credit, labor and other business or tax matters. (Portugal, United Kingdom, etc). Provisions: Processes and litigations for pending taxes. Provisions: Procedural issues and pending tax litigation. Does not specify litigations. Only refers to ground clauses of 625.000,000 €. Provisions: Procedural issues and pending tax litigations + remaining provisions. Inspection minutes of the tax administration signed in disagreement and tax assessments appealed. Amount of 49 million euros. Amount of 30 million euros. No creen que se les vaya a condenar a la devolución por lo que no provisionan y solo hacen referencia a ellas destacando que el importe por la nulidad total de las cláusulas sería de 490 millones They do not believe that they are going to condemn to the forced return. This is why they do not refer to them emphasizing that the amount of the total nullity of the clauses would be of 490 million euros. Provisions: Procedural issues and litigations for pending taxes + remaining provisions. Criminal procedure in the National Court for different judicial procedures associated with the listing on Bankia. Complaint filed by Union Progreso y Democracia against Bankia, BFA and former members of their respective Boards of Directors. 7,776 civil proceedings regarding actions arising from PAHO and subsequent procurement, as well as certain extrajudicial claims. Civil claims of private investors. Mainly floor clauses. 1,823 open court proceedings. Provisions to cover the return of the amounts would be 215 million. Provision for taxes. – Claims against the group: civil proceedings in matters of preferential and subordinated obligations. Three lawsuits brought by ING Belgium, BBVA, Banco Santander, Catalunya Banc and others, against Bankia for breach of obligations in support contracts. Total risk assumed, according to participation, is 165 million. Demand of Golf Habitats against, among others, Costa Eboris and Bankia Habitat for expenses arising from the Nuevo Mestalla project. Complaint by Apabankval (Association of Small Shareholders of the Bank of Valencia) for an offense of accounting misrepresentation and an offense of unfair, abusive and fraudulent administration. Lawsuits filed under Law 57/68 on the collection of anticipated amounts in the construction and sale of homes whose risk amounts to 44.2 million. Demand filed by Dofil Two against Bankia and others amounting to 7.1 million euros. The cancellation of the mortgage in guarantee of the loan granted to the borrowers per student is requested. Judgment favorable to Bankia, has filed an appeal of the opponent. Contentious – administrative proceedings initiated against the FROB. They seek the annulment of the resolution ordering the recapitalization and management of hybrid tools and subordinated obligations under the BFA-Bankia Group Restructuring Plan. Demand brought by Eurocarrión, against Caja Madrid, Tasamadrid and others, in claim of 6 million euros, for damages and losses derived from negligent compliance with the obligations assumed in the deed of promoter loan of 2007, granted to the defendant for the construction of houses in Carrión de Calatrava. Judgment in favor of Caja Madrid, which has been appealed by the applicant. Other lawsuits filed against Bankia on construction, housing and stock issues. Provisions: Procedural issues and litigations for pending taxes. The CNMV sanctioned 11 Spanish companies, including INDRA, for collusive practices. Administrative process by Caixa Económico Federal against Indra Brazil for the responsibility related to the massive credit card fraud. Resolution of the administrative cited by BNDES against Indra Brazil. Complaints by Human Resources due to the Record of employment regulation of 2015. Complaints made by suppliers of the Brazilian subsidiaries. Administrative and civil contingencies (general). Ecuador: administrative litigation with the General Counsel of the State derived from a contract for the assessments of a system. Collective dismissal of Indra Sistemas and Indra BPO. Civil procedure for claiming damages caused to the Brazilian administration. Tax claim arising from the incorrect settlement of social security contributions. Provisions for risks and expenses: Contingencies. Provisions: An amount has not been detected. However, the development of the different litigations from various countries do appear, in which the company operates. Appeal of Telefónica in the Central Economic Administrative Court for the Corporation Tax. Litigations related to indirect and direct taxes. New inspections of the Tributary Administration for the liquidity of the ICMS tax. Litigation for the collection of the ICMS Tax by the administration that are being refuted in the administrative and judicial stays by Telefónica Brasil. Litigation still open for corporation tax (2001 and 2000) and account payments (2000). The offsetting of balances for 1998 and 1999, as well as interest and penalties, are being discussed in court. Appeal pending judicial proceedings. Waiting for final resolution on the payment to the Tax Administration of the corporate tax debt related to the previous litigation. Complaint against the ANATAL decision for inclusion in the FUST of interconnection revenues and network uses. Collective appeal against ABRAFIX (Brazilian Association of Concessionaires of Fixed Telephone Service Switched). This was a success and the fixed operators claimed and finally lost (administrative litigation). Public civil action of the Public Prosecutor’s Office of Sao Paolo against Telefónica Brasil for “repeated malfunction in the rendering of services”. The current state is that the Public Prosecutor’s Office has imposed an extraordinary appeal that has already been rejected but can be appealed again. (contentious – administrative). Appeal against the sanction of the European Commission for infringing Article 101 of the Treaty on the Functioning of the European Union for the purchase of Portugal Telecom. Cassation appeal already filed and replicated by Telefónica. (contentious – administrative). Lawsuit from FACUA against Telefónica for the rise in prices of Movistar Merger (civil). Extraordinary appeal filed by Telefónica for the lawsuit of Venten and Lexburg to Telefónica for the acquisition of shares of Cesky Telecom through a public offering (trade). Make a reference in order to dissolve determined disputes with clients and the provisions to meet the compensation obligations that the Group needs in the locations where it operates. Sanction of the CNC to Abertis Telecom for abusing the domain of the Spanish market of transport and diffusion of signal of TV. Appeal contested-administrative dismissed by the National Court, cassation appeal ordering the CNC to recalculate the sanction. In case of sanction, Retevisión I, S.A.U. will pay the amount. Penalty of the CNC for Abertis for a dominant position in the markets for wholesale services and issuance centers. Appeal to be brought before the Supreme Court and without this one, the CNMC will not quantify the fine. As a result of the appeal, the return of the aid for digitization and expansion gets annulled of terrestrial television networks to the regional government of Madrid. Appeal already brought to the Government of Castilla La Mancha for the matter of the return of aid and that annuls the order for recovery of aid. The appeal is against the decision of the General Court of the EU rejecting previous appeals against the decision that Retevisión-I had to repay the aid. Open inspections in 2015 to Abertis of general character due to the Corporation Tax and of Added Value. Luis González is manager of the Litigation and Restructuring departments of LLORENTE & CUENCA. 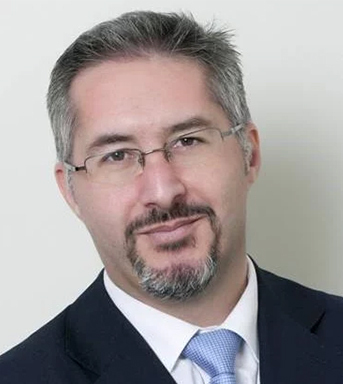 With 20 years’ professional experience, he is an expert in crisis communication, restructuring and insolvencies, and relations with the media, with a history of specialization in the Infrastructure, Real Estate, Health and Industrial sectors. He was a Manager in the operations of LLORENTE & CUENCA in Chile (2014-2016) and Portugal (2012). Before joining that company, he was an editor with the journal Diario Médico, editor-in-chief of the local TV stations Teletoledo and TV Guadalajara, and chief press officer and expansion manager at the advertising agency Tactics Europe. He is a journalist and graduate in media studies from the Complutense University of Madrid, and a guest lecturer on several Strategic Communication master’s programs. 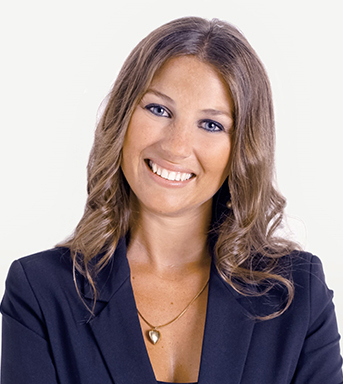 Alba García is a senior consultant in the Litigation and Restructuring departments of LLORENTE & CUENCA. She is a graduate in Advertising and Public Relations and has a master’s degree in Corporate and Advertising Communication, both from the Complutense University of Madrid. She coordinated the following Master’s programs of the Complutense University of Madrid: “Communication of Public and Political Institutions”; and “Corporate and Advertising Communication”. At LLORENTE & CUENCA, she has in recent years worked on many different communication projects during judicial restructuring processes. In this sphere, the campaign carried out for the reputational crisis of the Vitaldent lawsuit received a Stevie Award in 2017. She has also performed different roles on corporate communication projects for clients such as Coca-Cola, Burger King, Mercadona, Atento and Faurecia.